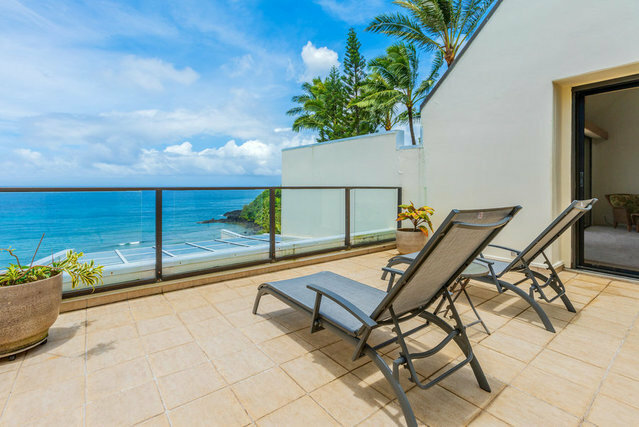 Prime location at Pu'u Poa, Top Floor End Unit with incredible Ocean and Golf Course Views. Walking distance to St. Regis Resort, Incredible Beaches, Restaurants and more. Pu'u Poa offers Tennis Court, Pool and World Famous Hideaways Beach below for Swimming and Snorkeling. Would make an excellent Vacation Rental. Seller is a licensed Hawaiian Real Estate Broker.